Home Leaked Pics Yahoo Voice Leak Does Yahoo have a Google Now competitor in the works? 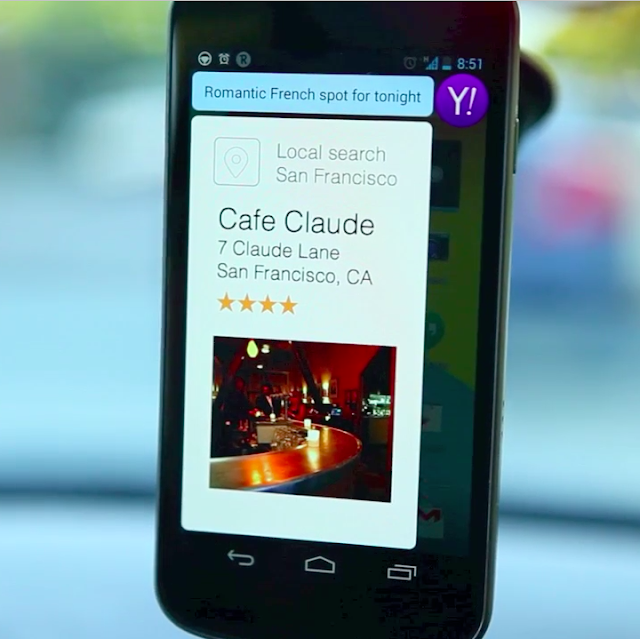 Does Yahoo have a Google Now competitor in the works? In what could be a leaked internal video, possible evidence of Yahoo working on a personal mobile concierge app that could be seen as their answer to Google Now and Siri. Every once in a while, every big technology company has a leak, and we get at glimpse at their product before they are rolled out. 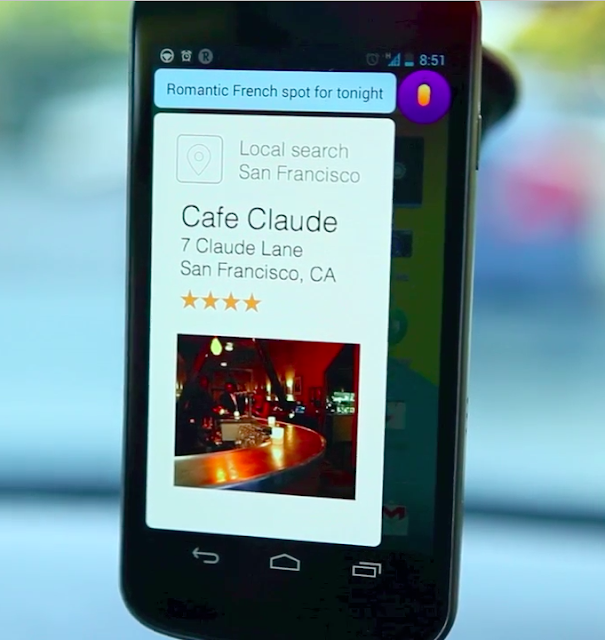 This week, a certain video surfaced on the web, featuring a voice assistant app running in a car, on a windshield-mounted Android phone. What makes it news-worthy is that the main assistant button has a prominent Yahoo logo on it. We have managed to get a hold of a few stills from that video - see below. In those stills, we can see the assistant apparently delivering answers to voice questions about current traffic and restaurant search, the kind of information that would be expected of an assistant/concierge in the car. We have no way of determining of the video is genuine, but it sounds entirely plausible. Ever since Marissa Mayer took the helm at Yahoo, she has been keen at focusing the company on mobile and making significant improvements to Yahoo's mobile apps, such as Yahoo! Weather. However, much of Yahoo's strength on the web comes from it being a portal, an umbrella of all kinds of content and services: news, weather, email, instant messaging, horoscopes, etc. But on mobile, Yahoo has a challenge: how do you jam all these into a small phone screen and deliver the package in a simple and engaging manner? Well, a voice-based personal concierge could just be the answer, the mobile equivalent of a web portal! Furthermore, it's well known that Yahoo has been actively buying up start ups in this field, including Summly, a news summarization app, and most recently, SkyPhrase, an academic spin-off focusing in Natural Language Understanding. 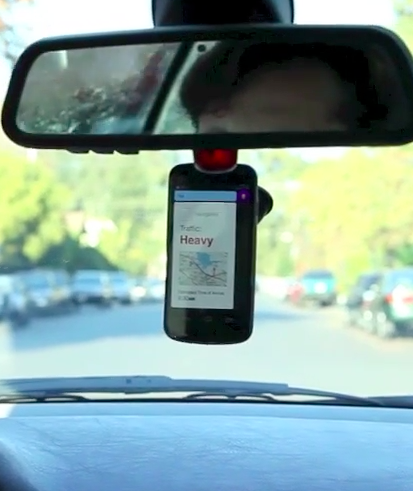 And last, but not the least, it may not be accidental that the app in question is being tested in the car. After all, that is where much of Yahoo's audience spends a lot of their time daily. 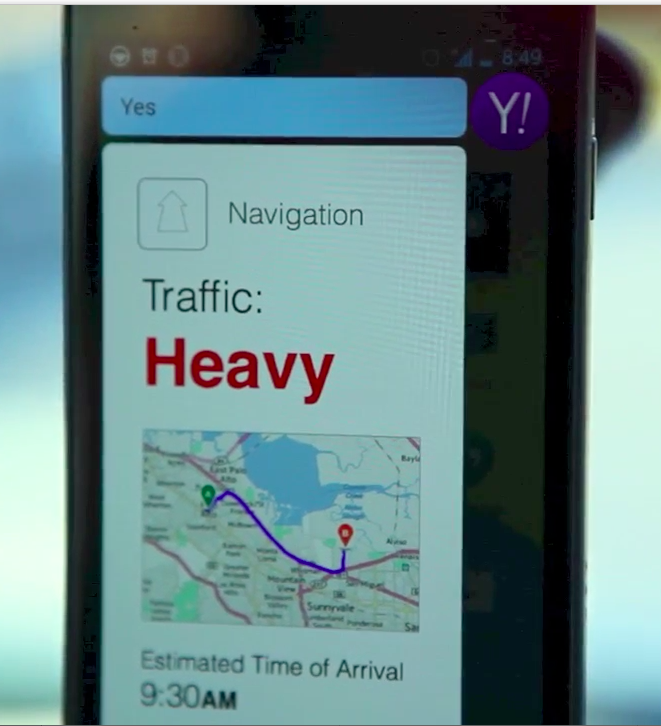 So it all adds up to one conclusion: if Yahoo is not yet working on their own personal assistant app, they should be!